that bag is gorge! loveee it! This outfit is soooo gorgeous, I love the pants with that top (such a great DIY btw!) and that bag is amazing! Have a great day, pretty girl! I love your polka dot jeans too and I'm a sucker for leather & peplums! Gorgeous look. 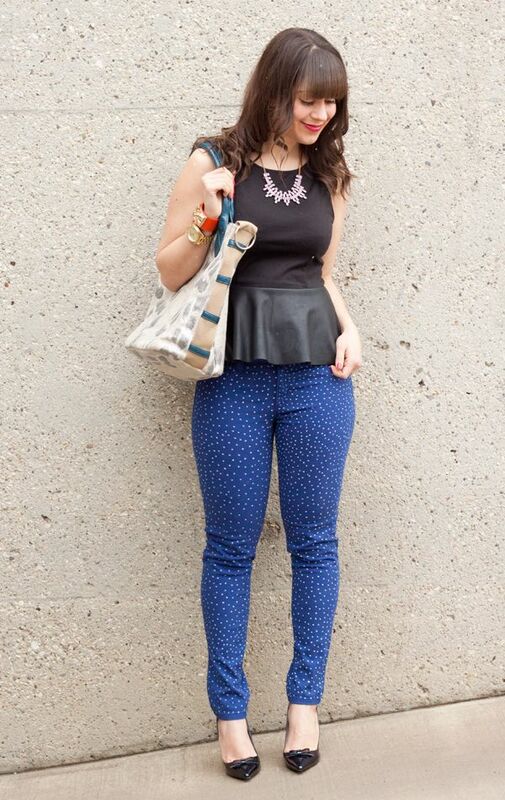 Yay a complete outfit with your dotted jeans, love the mix of denim and leather so chic! And another yay for the vegan bag, is really a cute one! Super cute! Love those skinnies! 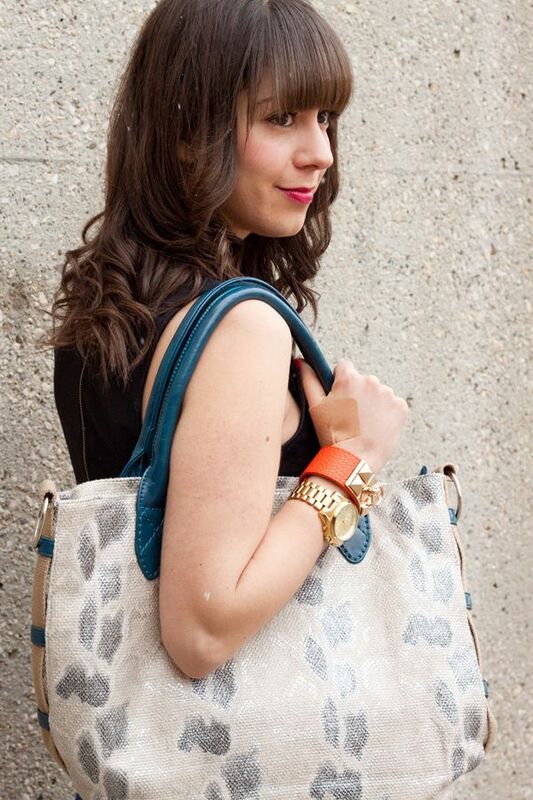 Super cute dots & a super awesome bag! Love love love it all pretty lady!